premature babies that we are ready to share with the world! - We have 40+ families who have gone through their own premature journey and are now generously sharing their stories of hope and healing in the NICU. 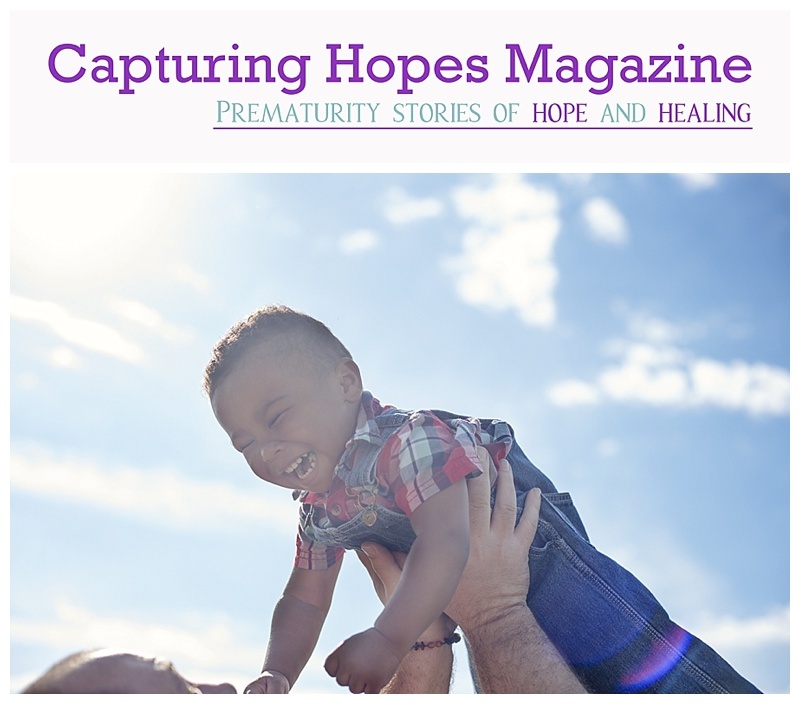 - Professional photographers from across the country have donated their talent to capture these amazing stories of hope to be viewed in the magazine. - Magazine will be available to order via ebook, pdf download, and in print on our website. With the help of generous donors and businesses, we will cover the costs of publishing completely and be able to offer the magazine free of charge to families currently in the neonatal intensive care unit with their premature baby. The average stay of a premature baby is three months in the hospital, and what better way to bring hope and healing to those families than through beautiful stories from those who have gone before them on the very same journey. With your donation, you will help us to bring hope right into the hands of families. All in-kind donors will be personally recognized in the magazine publication. There is also the option to purchase ad space for your business, this is also considered a donation and you will receive a gift receipt for your donation.